Punting is a truly timeless, slightly eccentric, quintessentially oxford, idyllic pleasure: sailing leisurely upstream or down river, trailing fingers in the silky water, admiring the wildlife, picnicking on a river bank, dropping in at the Vicky Arms or drifting downstream past the University. Punts are hired out by the hour or day from the punt office at the front of the Boathouse. A fully refundable deposit of 1 day’s hire required, £90 on weekdays and £100 at weekends. This can be paid either in cash or by simply leaving a credit/debit card at the punt office. 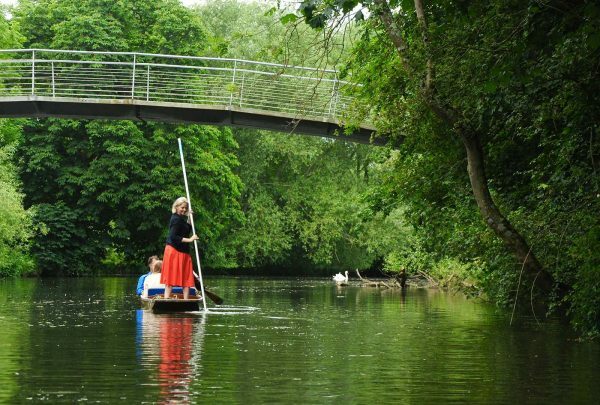 We have over 80 traditional hand crafted punts all made on site, rowing boats & Canadian canoes also available. 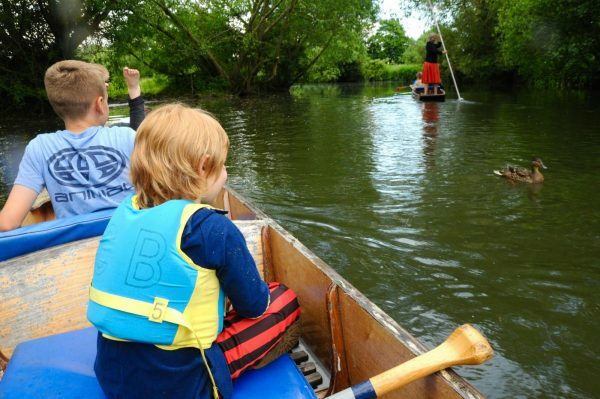 For each hire, punts are equipped with; 2 large cushions, 2 small cushions, 1 metal pole and a paddle. Punt racing and splashing are not allowed. We are not permitted to hire to anyone under 16 years old. 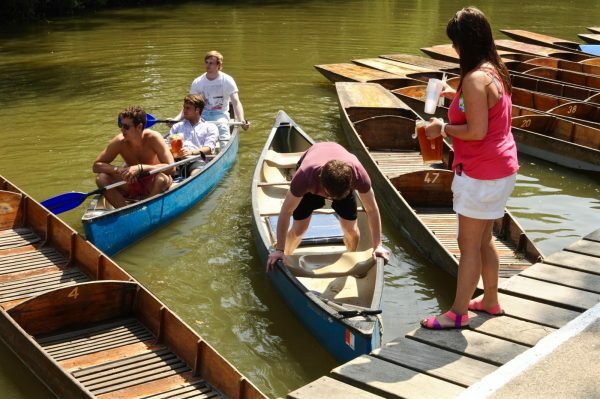 Non-swimmers should make themselves known to The Punt Office Staff; life jackets can be supplied. Charges will be incurred for water logged or damaged punts. Please enjoy alcohol responsibly when punting.